It doesn't seem very long ago since I heard about Miriam's Christmas Tree Decoration Swap and couldn't resist adding my name to the list. 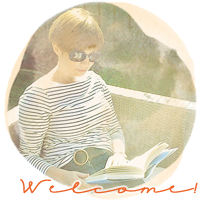 I'm so glad I did: this week an absolutely beautiful star arrived here from Honoré (who blogs at Morning Glory Studio). Isn't it lovely? It has travelled half way across the world to be with us this Christmas, and it will be slipped onto a branch of our tree with pride. Soon, I hope, soon. Thank you so much! I made a decoration to put in the post too. maybe you'd like to see? This one went to Amy in Australia. I thought a little hand knitted woollen would be fun to send to a sunnier kind of celebration! That's a Christmas cake decoration it's sitting beside. Many thanks Miriam for bringing everyone together for Christmas.It's been a pleasure. As the decorations have been arriving we have been adding them to the linky here - feeling festive? that's where to go! happy getting-ready-for-December everyone. See you on Sunday? Oh! that is just so beautiful Sian. When I thought about the swap I had no idea it would bring quite so much pleasure, talent and love to our homes this Christmas. Thank you for joining in and for linking up. that's beautiful, I have enjoyed seeing all the swaps arrive! Just beautiful! Our tree will be up and decorated this weekend. Hopefully, the rest of the house as well. My story is written; waiting for some good light for the photos. It seems to have been a perfect swap, from all the deliciousness I've seen appearing on blogs worldwide. I love that you sent Amy a knitted jumper! I saw this on Amy's blog - it is amazing! That must have been so fiddly to make. Beautiful idea for a blog swap. Very cute little jumper. You were both very lucky! We won't decorate until the middle of the month - in the meantime, our lovely little jumper, which is adored each day by little fingers and eager eyes, is waiting to find its place. 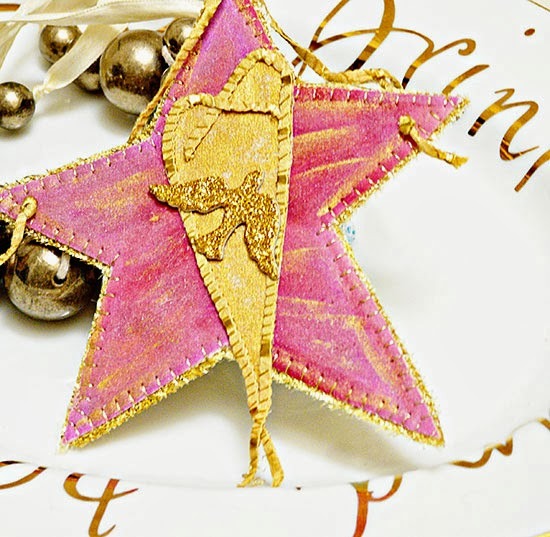 That pink star is pretty fabulous - very festive indeed! What beautiful decorations! It's so much fun seeing all the wonderful creations that have been sent around the world. The star is beautiful and that little jumper you sent? Too cute! Hoping my laptop has survived it's coffee bath and will be back in action in time for StS tomorrow. What a cute little sweater! Jumper...whatever, it's adorable! love the star too. We're decorating the tree tomorrow here. I have been loving the discovery of what everyone participating has sent or received! I LOVE your little sweater and the star from Honoré is superb in all its golden hues... I can't wait to get my little goodie from Ailson to share on my blog! A beautiful star and a gorgeous jumper! You are both very talented :). Both of these are lovely ornaments. We have the Santa tree up & decorated, the toy tree up & ready to be decorated & the "other ornaments" tree up & ready to be decorated. We had planned to be finished this weekend, but it will probably be a few more days before all the decorating is done. Beautiful ornament received and precious one sent! What a perfect exchange. Two wonderful looking ornaments! 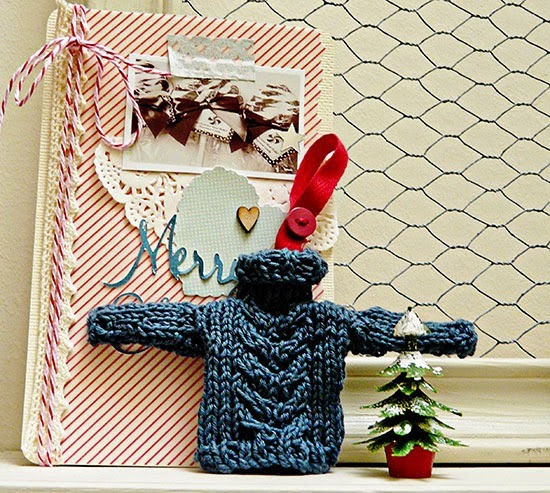 I'm curious what did you use to knit the little pullover? I once did some knitting to put in a layout and ended up using toothpicks for needles - ouch! You are so right--this was a fun exchange...the ornament I received from Andy will debut on my blog sometime this weekend--as soon as we get our tree decorated.